This page is here to share patterns that I designed. If you have any problems or questions please email me at goodknitthings@gmail.com. 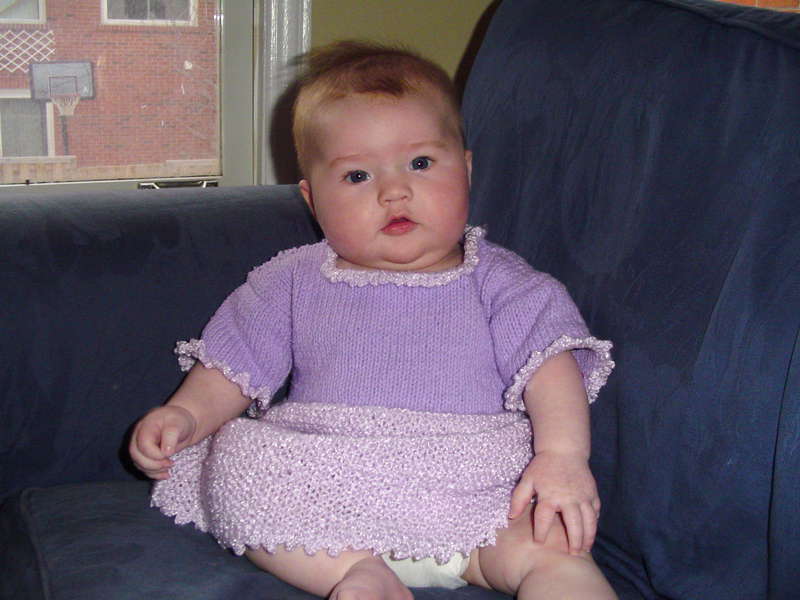 Please mention my site if you sell any items you make using any of my patterns. Thanks! This is a simple pattern, perfect for a beginner. 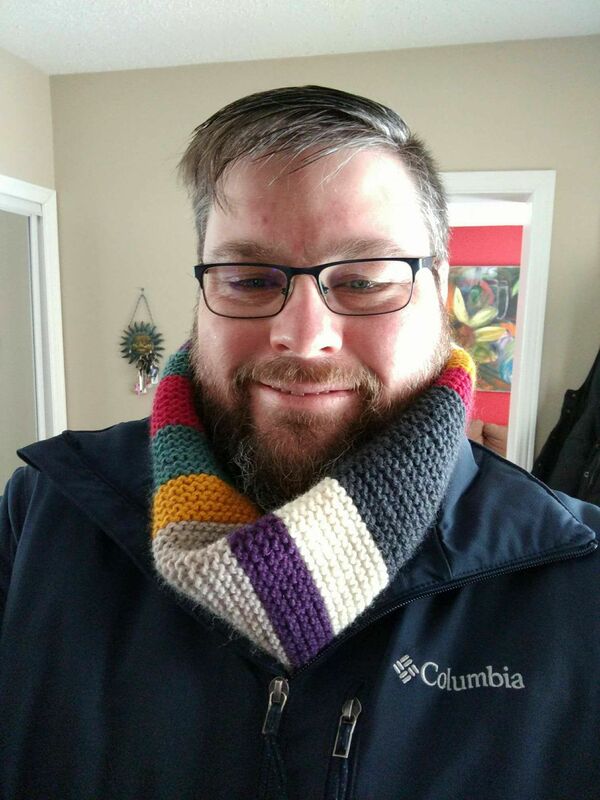 This cowl is practical and reflects the look of the 4th Doctor’s full length scarf. This is a simple pattern, perfect for a beginner. 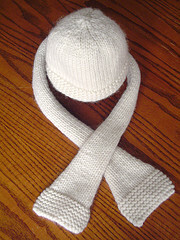 It is knit straight as a rectangle and then it’s folded in half with the sides sewn up. Tassels are optional – keep it plain or add pom poms instead. Tassel instructions are included in the pattern. 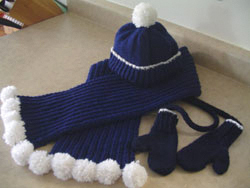 For pom pom directions please download Winter Set for Toddlers. 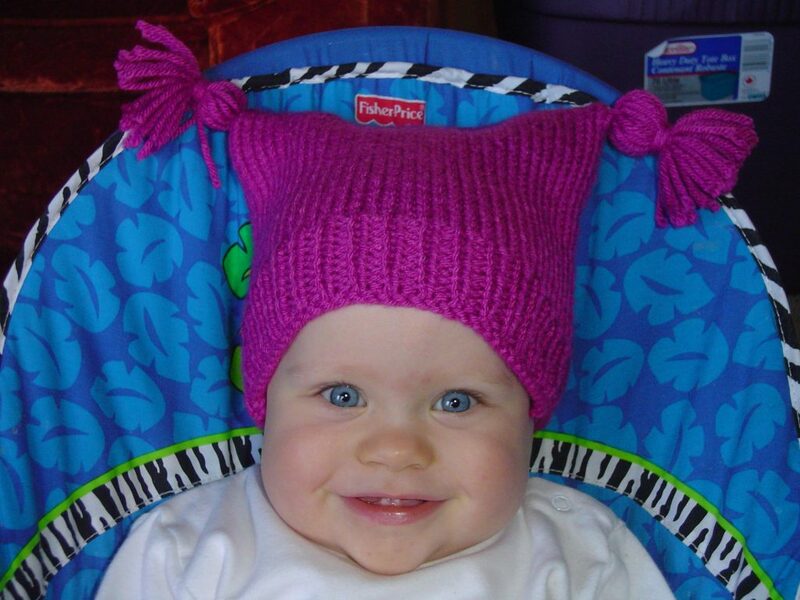 This pattern is a full set of Winter warm accessories sized just for toddlers. The patterns are simple but do require a few more skills then the average beginner has. This set would be a great way to learn some new skills. Add pom poms or traditional fringe to the scarf and a handy i-cord so mittens don’t get lost. Pom pom instructions are included in pattern. 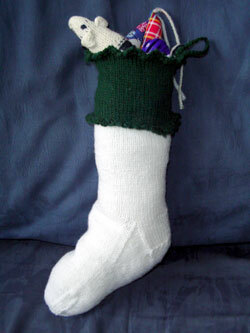 I am using the Picot Edge Stocking pattern to create an Outlander Inspired design. Thank you for the instructions to a great pattern! So happy to help out! Hi, love this set. Question about the mittens. How is it possible to cast on 20 sts., do a k1, purl 2 and come out around back to the k1, p2 rib. Am I missing something? It ends on a p1. It should be k1, p1. Again this pattern is old and I think a few errors got missed when I re-typed it recently. Thanks I’ll be sure to update the pattern with the correction.